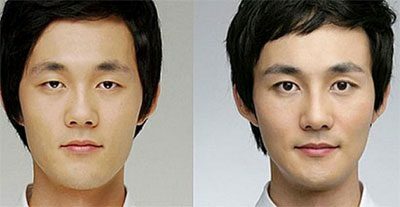 The influence of K-pop, Korean pop stars who have undergone plastic surgery to enhance their looks, has encouraged Korean men to seek their own enhancements. Dr. Douglas Steinbrech specializes in Korean (K-Pop) plastic surgery for men in NYC as well as for other patients around the world. Common requests by male patients who are of Korean descent include facelifts, upper and lower eyelift, chin and jaw augmentation, necklift, botox, fillers and rhinoplasty. All of these procedures are available at Manhattan Plastic Surgery for Men. Dr. Douglas Steinbrech is Board Certified by the American Board of Plastic Surgeons under the American Board of Medical Specialties. The Korean Association for Plastic Surgeons estimated that the number of Korean men who have had cosmetic surgery stood at around 15% of the population in South Korea. It is also well known that about 44% of Korean male college students have either already undergone plastic surgery or has plans to undergo a procedure in the future. Dr. Steinbrech’s office has seen a tremendous increase in inquiries regarding plastic surgery from Korean men located in the New York City area and worldwide. Each patient has their own unique requests and are excited to see the options that are available. One of the most common requests is to have the bridge of the nose raised and eye lifts. In addition to plastic surgery of the face, men are also inquiring about bicep implants, calf implants and a variety of other procedures such as coolsculpting, pec implants, liposuction and fat injections of the body. When body sculpting such as bicep implants, calf implants and pec implants are discussed, the size of the implants are precisely chosen to fit the body and provide an overall balanced look. 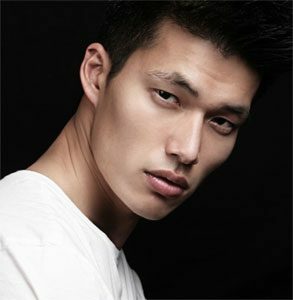 New York has a large Korean community that has men within the community seeking to change or improve their looks. While the younger generation may be influenced by western music and K-pop stars, other men within the community may be looking for a change in their looks for a variety of other reasons. Some of the benefits that men may seek to improve their looks are for personal reasons or to obtain the desired look they have always wanted that resembles their favorite K-Pop Superstars and personalities they see in the media. While others may see plastic surgery as a way to boost self confidence and self esteem that will show through their personality and assist them in going further in their careers. Improved self-confidence from plastic surgery radiates through the person’s personality and also in the way they carry themselves. Each potential patient is required to attend an initial consultation with Dr. Douglas Steinbrech in his office in NYC to discuss specific goals and desired look the patient wants to achieve. Before and after photos will be taken so that he can further study the details of your face for best results. During the consultation the plastic surgeon will advise the patient on what procedure is necessary to achieve the desired look, in addition to the procedure that is best suited to the patient. The overall goal of the plastic surgeon is to balance out facial features so that the outcome is natural looking and fits and blends well with the other features of the face. For patients who are traveling from out of town to see Dr. Steinbrech for (K-Pop) Korean plastic surgery, our staff will make every effort to accommodate you with our fly-in program. Our office is conveniently located 20 minutes South from John F. Kennedy International Airport, 15 minutes La Guardia National Airport, 35 minutes from Newark International Airport, and 15 minutes from Teterboro private airport. We have a dedicated staff used to dealing with out of town/country patients who fly in from Seoul, Busan and Incheon and other areas of South Korea. In the last ten years, we have had patients from all over the globe that have come for different procedures with successful outcome. Dr. Steinbrech and his staff will discuss each potential K-popprocedure in detail and provide critical information such as recovery time. Each procedure has a different recovery time and may require the patient to take prescribed pain medication for a specific amount of time. It is highly recommended to arrange for time off of work and make arrangements for other responsibilities that may require attention during the healing process. Recovery time duration depends on the extent of surgery you have. In general, most patients who underwent a K-Pop surgery are able to travel 3-7 days following surgery. In addition to cosmetic procedures, patients tend to make improvements and changes to their hair and clothing styles. The combination of the cosmetic procedures and new sense of style mixed with their new found self esteem results in what appears to be a total body makeover. Family and friends quickly notice a change and improvement in attitude and self-esteem after the patient has healed from the procedure. To schedule your (K-Pop) Korean plastic surgery in NYC, please contact the offices of Dr. Douglas Steinbrech by calling (646) 480-7750 or by filling out the contact form to receive more information.